Thank you for accessing the Tennant Transport website. 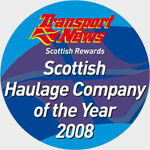 We currently operate over 50 vehicles from our depots at Forth and Lockerbie, covering the whole of the UK. We have a mixed fleet and details of these can be found on our services page. Please also take some time to visit our gallery page where we have pulled together a collection of photographs both old and new.